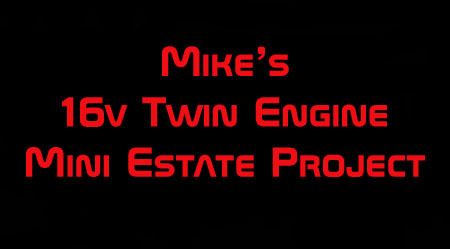 Welcome to my Vauxhall 2.0 16V Twin Engine Mini Site. 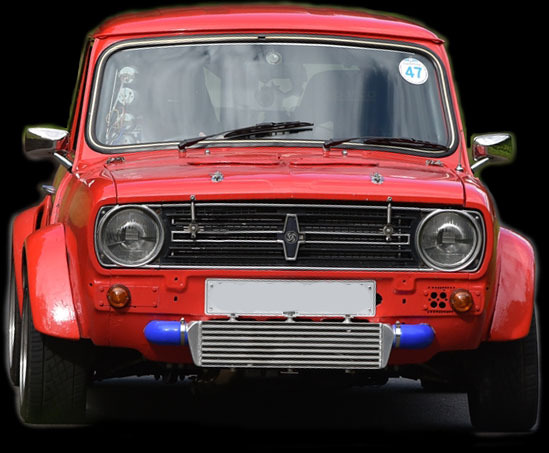 This site is to document the progress of a Mini Clubman Estate from a simple 1100cc A Series to a 400bhp+ monster with 4wd, Turbo and NOx. This Mini's main purpose was to be drag racing but decided that it actually handles quite well now so moving into spriting and hill climbing for a change at least until i'm ready for more monster power updates in the future when I will return for some drag action. After the immediate success of the automatic conversion i'm now ready for more power as this is currently the limiting factor of the performance. Where continued increases in power could be through more nitrous I wanted to consistent power available for longer periods and after moving to automatics the turbo again became an option to investigate since there is no need to lift between gears meaning no turbo lag between shifts on the strip. The Phase 1 Build section will no longer receive any updates and relates primarily to the initial construction utilising the manual F20 transmissions and the rear engine nitrous installation (2004-2009). The Phase 2 Build section primarily contains the process of installing the 4T40e automatic transmissions (2009-2010). The Phase 3 Build section will focus on converting to Turbo (2011-2012).